Yes, that is exactly what the August kit brought us! 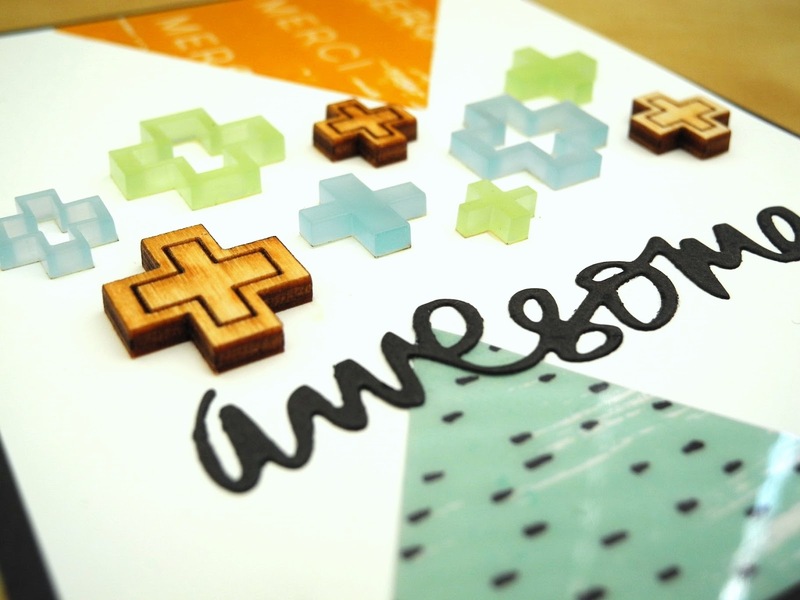 Awesome embellishments! This is Jingle with you today and I am sharing a super fun card I created using several elements from the August kit. The word dies in this kit were absolutely my favorite! For reals! I love them so much! 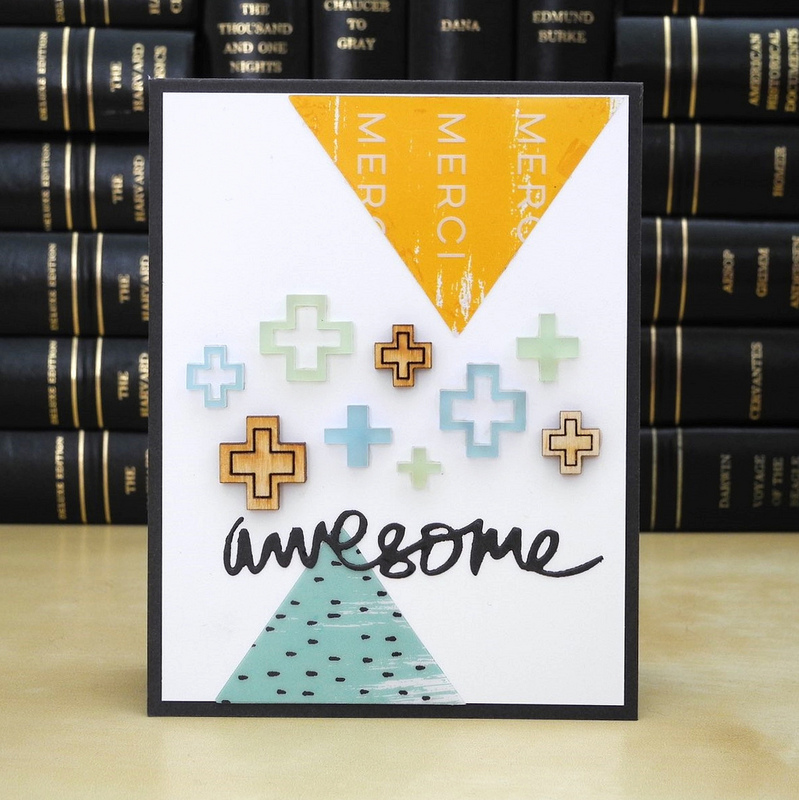 I used the awesome die along with the neat acrylic and wood embellishments and two of the transparency triangles to create a unique design. I love how fun and playful this is! Our September kit will be available soon and you are going to love that one JUST as much! I can't WAIT to share it with you!